Interior and exterior Painters and Decorators in Hebburn, Tyne & Wear. Hello there. My name is Mehki Fil and I’m the owner of Heaton Decorators. 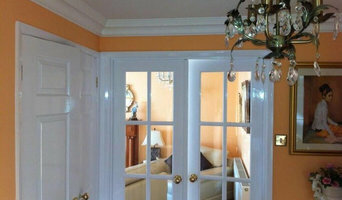 I’ve been a professional painter and decorator since 2008, working throughout Tyneside and south Northumberland. Before that, I was the captain of a charter yacht in Turkey. Being the captain of my own yacht meant I had to learn to do everything to maintain it, including all of the interior and exterior painting and decorating. Yacht painting requires the highest standard of painting skills as the yachts need to not only look beautiful but they need to be able to stand up to the damage that salt water inflicts. And in the interior, even the tiniest spill on such expensive wood can cost a fortune to fix. Unfortunately, I no longer have a yacht, but my experience as a yacht painter has made me careful, precise, and tidy, and I will take the same care with your home or business as I used to with my yacht. Since 2009, Town and Country Decorators have become a one stop shop for any type of renovation project. We work on small projects, such as hanging wall paper, but can also support a full renovation that includes wall painting, cabinet refacing and more! Our team here at Town and Country Decorators thrive on providing excellent customer service and we pride ourselves on delivering work on time and on budget. Give us a call today! As a decorator who takes pride in his trade I strive to give my customers the best finish as possible for their decoration. I dislike cutting corners so will give the best advice I can regarding the works to be taken and I have a keen eye for detail. Spray painting kitchen cupboards is one of the best ways to create a fresh, new look while adding value to your home. At Mia Interiors we are more than happy to help you with creating your dream kitchen by changing the colour of your existing doors. From a dull, wooden look to a beautiful-modern looking kitchen, we can make your interior visions come true. New vision bespoke joinery Ltd is a professional joinery and paint spraying business, proudly serving the North-East. We offer a vast array of services to suit your needs, whether your kitchen remodelling, sprucing up your old doors or giving your bedroom furniture a makeover; we can provide the quality finish you desire. 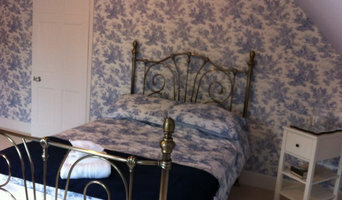 Time served through a Master Decorator, I have 21 years experience in this profession covering all aspects. Private, Commercial, Residential. I pride myself on being very very quick but to the very highest of standard. I can provide references if requested. From our headquarters in Whickham, Tyne & Wear, Davison Solutions Ltd deliver Building & Specialist Services consisting of Painting & Decorating, Commercial Cleaning & Building & Maintenance works. We have a wealth of experience in both commercial and domestic works in the Construction Industry which we have built up since we established. Incorporated in 2011, we carry out projects nationwide and we are unrivalled in terms of client satisfaction, reliability, quality of workmanship and the service we offer to every job no matter the nature or value. With support from our dedicated management teams we pride ourselves on our ability to be flexible to meet the client’s needs, creating a one stop shop for any problem or issue that you may have 24/7, 365 days a year. Establishing and maintaining an excellent level of customer service with the aim of building long term relationships with our new and existing clients. Providing a high quality service, both Domestic and Commercial, Interior and Exterior. With expert and fully qualified craftsmen, the company delivers a professional painting and decorating service to private and commercial premises. The service is intended to be cost effective, enabling clients to achieve a professional finish and good value for money. APS Painting and Decorating has a growing number of private and commercial customers, situated in the local area. Please click visit the website to find out further information. Avenue Decorators and its workforce can undertake the most comprehensive range of jobs within the painting and decorating industry. Artexing ceilings and walls & ceiling repairs (full pattern range available.) Decorative spraying of multi-coloured paints. Airless spraying of emulsions, gloss, eggshell, masonry paints. (Ideal for coverage of suspended ceilings, pebble dashing, breeze blocks etc.) Interior and exterior painting, staining, wood preservatives, and all pre-joinery repair work. Ornate plastering, cornice coving, ceiling roses, niches, dado and picture rails etc. 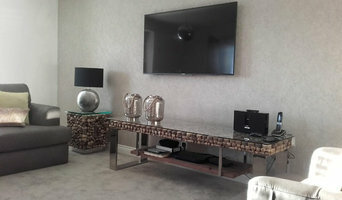 Hanging of wall covering and contract fabrics, muraspec, bufflon, and all domestic wallpapers. 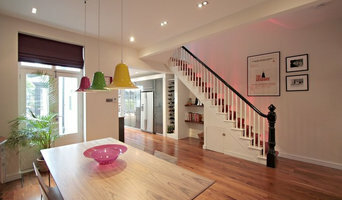 Complete decorating and home improvements service. What jobs do Newcastle upon Tyne, Tyne & Wear painters and decorators do? As well as plain painting jobs, many Newcastle upon Tyne, Tyne & Wear painters and decorators will take on other jobs as well. If you’re dealing with an old or run-down property and you need the walls completely stripped down before painting, this could be tackled by a Newcastle upon Tyne, Tyne & Wear painter decorator. Some professionals will also carry out repairs on paint work and walls, from small cracks and holes to sometimes larger repairs like fixing window panes, doorframes and sills. Some painters and decorators may specialise in certain kinds of painting, such as window exteriors, doors, gates and fences. And finally, you may find some contractors are very good at the finishing touches, not only neatly finishing paint work but also installing beautiful wallpaper, wall stickers, painting intricate or fiddly features or even painting patterns and murals on your walls. Why should I hire a painter and decorator in Newcastle upon Tyne, Tyne & Wear rather than doing it myself? Even if you are planning on going very simple with your walls, perhaps a crisp white or grey, then using Newcastle upon Tyne, Tyne & Wear painters and decorators to finish the job to a high standard is still advisable. Not only will it mean your painted walls will be clean and precise, but it will also save you the time and effort of painting and decorating yourself. House painters in Newcastle upon Tyne, Tyne & Wear will be quick and efficient at painting your rooms, and if you have a tricky outside wall or space that needs painting, specialist exterior painters are the professionals for the job. Search for Newcastle upon Tyne, Tyne & Wear painters and decorators on Houzz to see past painting and decorating projects and reviews from clients to see if there’s a professional that can help you with your project. Even if a local painter decorator doesn’t specialise in your kind of project, ask them first, and they may know other professionals that can help, such as wallpaper specialists, paint companies or wall sticker or mural installers. Find a painter decorator on Houzz. 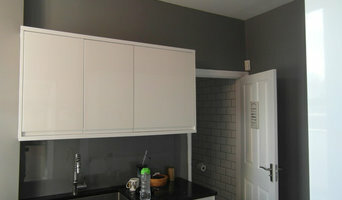 Narrow your search in the Professionals section of the website to Newcastle upon Tyne, Tyne & Wear painter or decorator. You can also look through Newcastle upon Tyne, Tyne & Wear photos to find examples of painting and decorating jobs that you like, then contact the professional who worked on them.